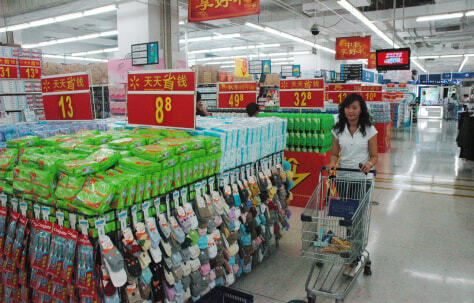 A shopper walks past a familiar-looking display at a Wal-Mart store in Beijing. China's red-hot economy has raised the living standards of urban households. But hundreds of millions of rural workers earn about $2 a day.